Take to the skies for once in a lifetime views of the City of Brotherly Love on a private 30 minute helicopter flight! Take to the skies for once in a lifetime views of the City of Brotherly Love on a private 30 minute helicopter flight! Why fight the hustle and bustle of the busy Philly streets when you can hop aboard and see it all from a bird’s eye-view? Departing from northeast Philadelphia, you’ll be immediately immersed in the beauty of Philly’s skyline. There’s truly no better way to see the city than from above. You’ll soar over such sights as Battleship New Jersey, Penn’s Landing, the Philadelphia Art Museum, and Boat House Row, all from the comfort of a Bell JetRanger craft. With its stretched fuselage, the JetRanger comfortably provides four passengers with epic views of the scenery below. Don’t miss out on a making the memory of a lifetime. 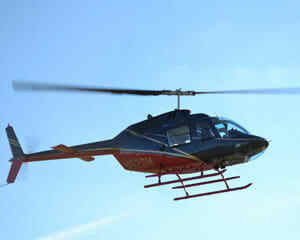 Book your Philadelphia helicopter flight today!